Host, Jordan Hembrough, scoots his way to San Diego. 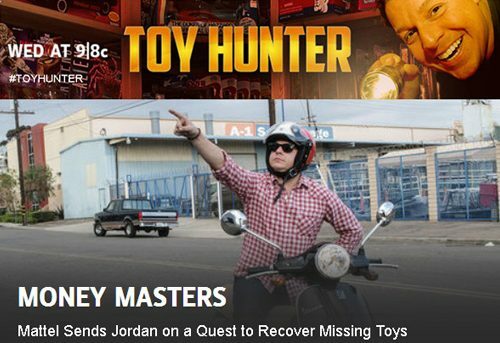 Tune in to Travel Channel Wednesday February 26th (9pm/8pm central) to watch a super special episode of the Toy Hunter as he digs around Vespa Motorsport for some rare toys. As many may know, a lot of us at Vespa Motorsport (especially, founder Alex Cohn) are big toy collectors. Heck, even the scooters can be considered big toys. Although Jordan didn’t buy a scooter this time around, he test drove one and picked up some cool toys. Make sure to catch this fun episode of the Toy Hunter. TUNE in, DVR it, VCR it, or DOWNLOAD it, but make sure to WATCH it!